The native Windows console window is for me not usable for real programming work because it is too limited compared to shell terminals available in Linux (my second programming platform). 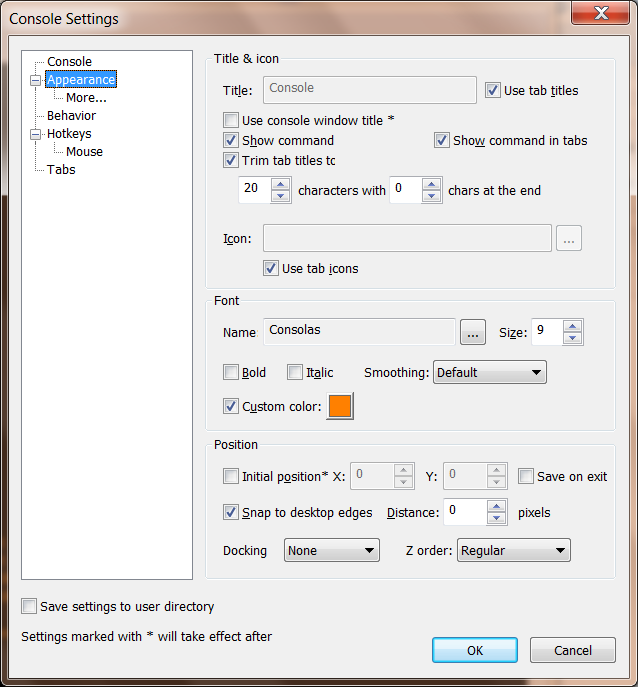 Console has many configurable options, including the possibility to change font, colors and background. (Hint: do not forget to specify Consolas as font). Console window dimensions can be changed on the fly; selecting text in the window is simply a Ctrl + mouse action. Copy and Paste functions are available from menu and toolbar. Console is a good and working solution for all command level actions. I use it every day for non standard maven and subversion operations. Warning: Console is not a shell interpreter. The shell interpreter is the Windows cmd.exe. A Console configuration options let you specify a different shell. 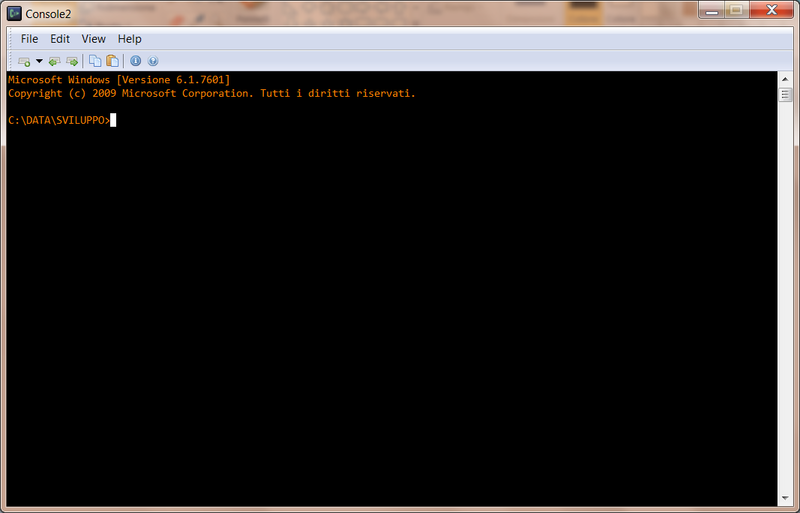 For example it is possibile to use the Bash shell included in the Git package. You can read here for more details.